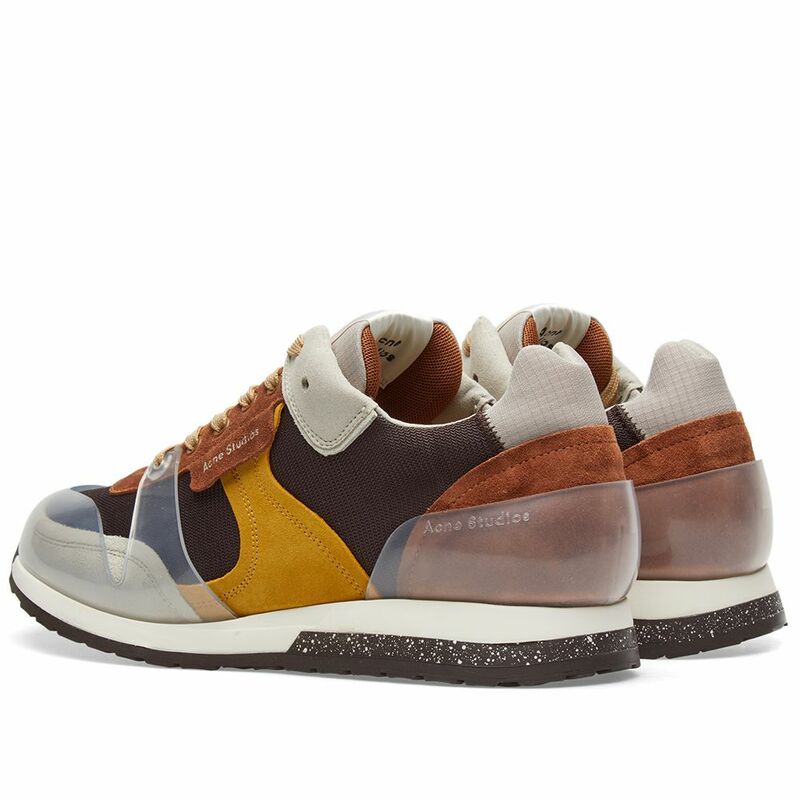 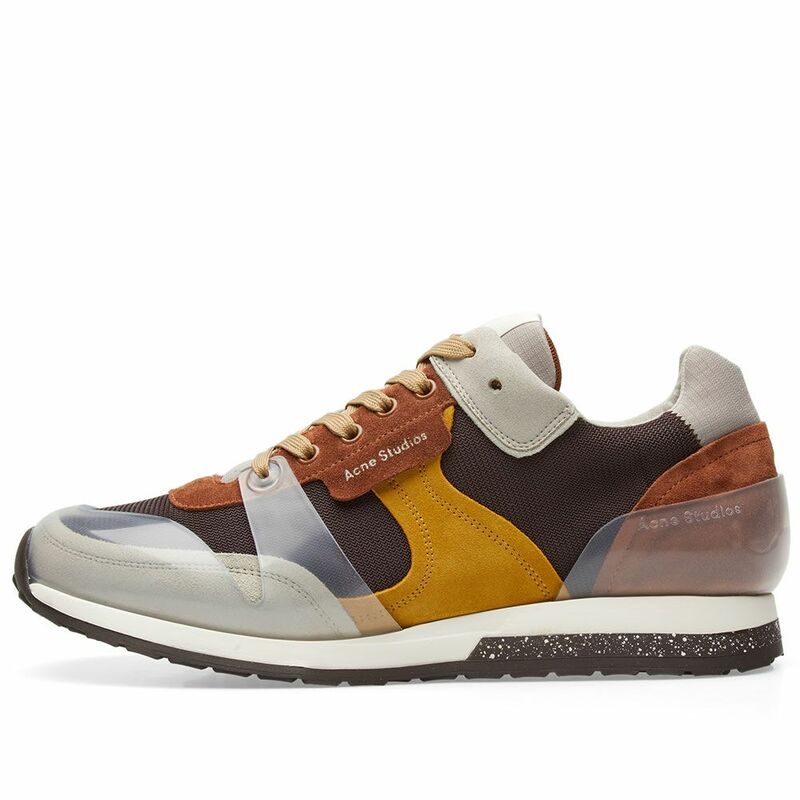 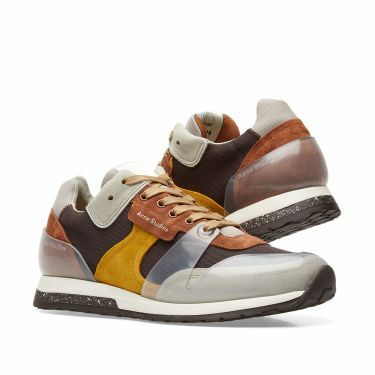 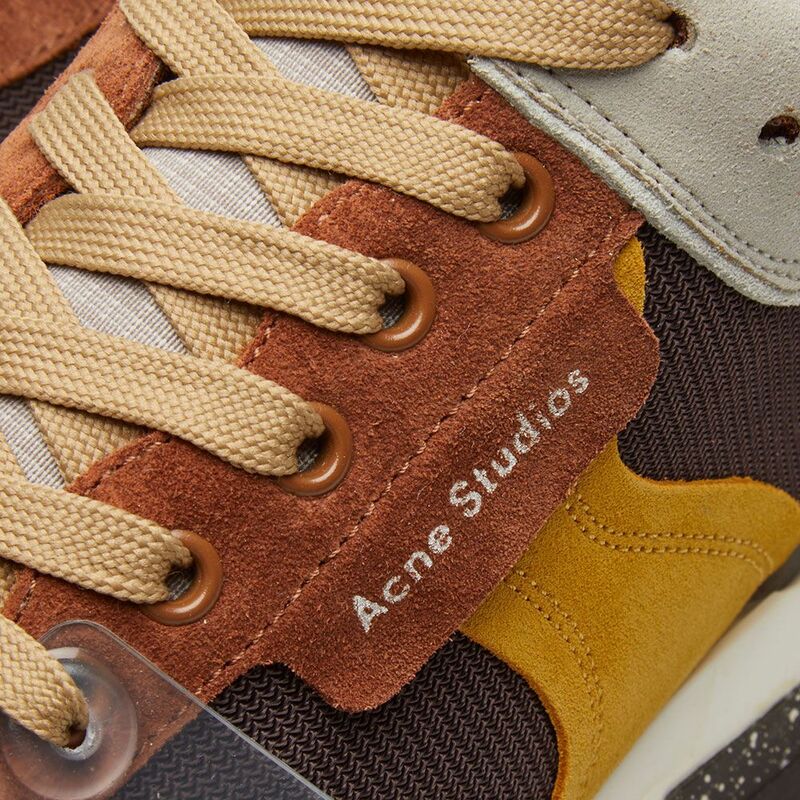 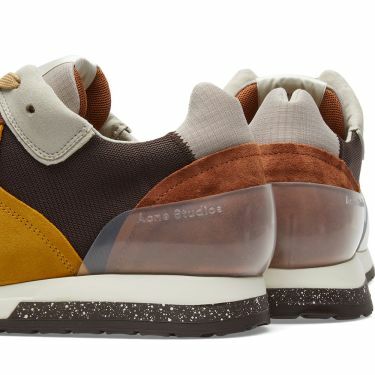 Taking on a warm, seventies colourway for the changing seasons, Acne Studios’ Jimmy sneaker resembles crisp falling leaves. 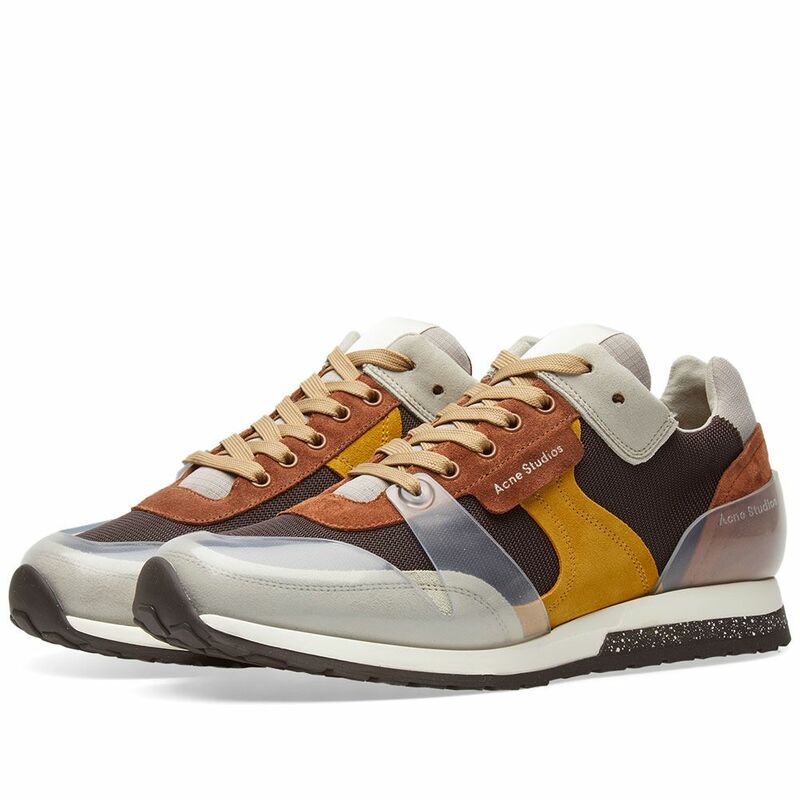 Lightly layered with nylon and soft suedes, the signature silhouette is wrapped in translucent caging with printed branding at the laces. 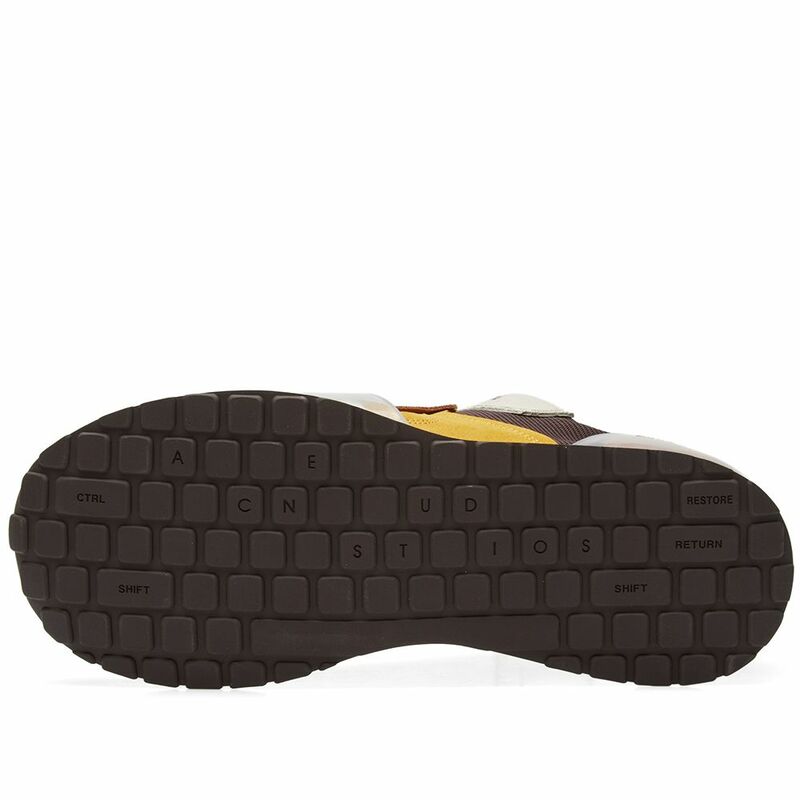 A foam midsole guarantees comfort with every stride; highlighted with speckled details, while the label’s iconic keyboard traction pattern rewrites footwear’s future.